The sisters Rebecca (on left) and Maddie Nichols had a blast at their spontaneous family photo shoot with Aaron Hogan in downtown Baton Rouge. These girls are almost joined at the hip. Returning home for Christmas to her parents’ house in Denham Springs, Louisiana, Rebecca (16) and Maddie (14), a young actress, set out for their photo shoot. Their journey through downtown took them to the levee of the Mississippi River, against an ivy wall, an alley on the side of a bar with a bright blue wall, and a stepped-wall made of bricks. Aaron uses mainly daylight and only soft strobe lights to make their portraits look very natural. As happy as these girls are, they can put on the dramatic looks as well. 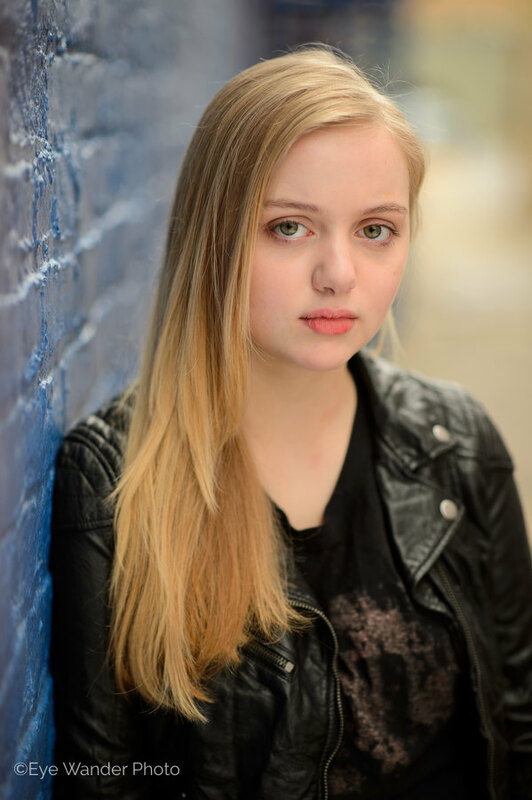 Maddie Nichols loves acting. 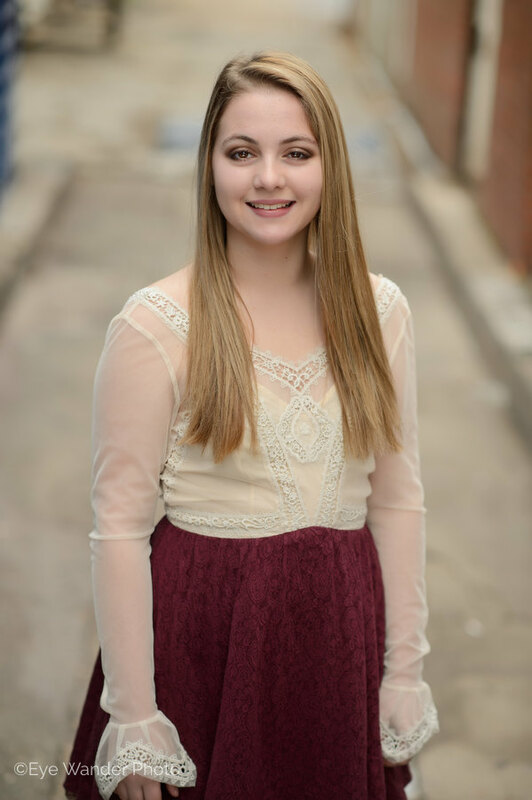 She became known to the local Baton Rouge audience with her role as Madeline in Madeline’s oil the fall of 2014 during the film’s premier in Baton Rouge’s Manship Theatre. It was a selection shown in a short film festival called Prospect 3. Madeline’s oil is a moving short film that follows the turning point in the lives of an 1800s Louisiana family with the main character being played by actress Jency Griffin Hogan (Aaron’s wife). We all enjoyed the urban artistic photo shoot. It was over too soon. 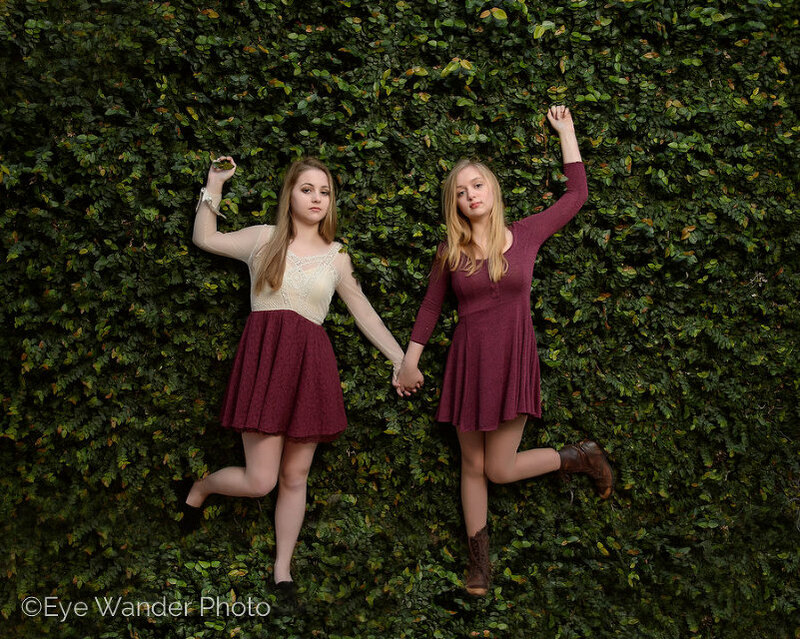 Take a look through this fun, candid sister shoot!